The Sidewinder X8 isn’t the first mouse to use Microsoft’s BlueTrack tracking technology - that honour goes to the rather mundane Microsoft Explorer Mouse. However, while the Explorer Mouse was meant to be a laptop companion that would accurately track on surfaces as tricky as carpet and marble, the Sidewinder X8 shows off the second strength of the BlueTrack tracking engine: absurdly accurate and fast tracking. This, Microsoft believes, makes BlueTrack equally brilliant for gaming. 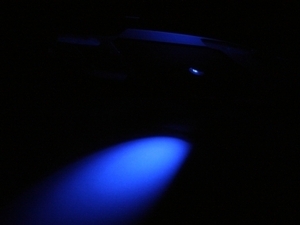 BlueTrack combines ‘specular’ optics with a blue LED beam, rather than using the red LED of optical mice or the laser of laser mice. Microsoft says BlueTrack "combines the benefits of optical (which has a very powerful beam but is imprecise and blurry) with laser, which is clearer but has a narrower beam." 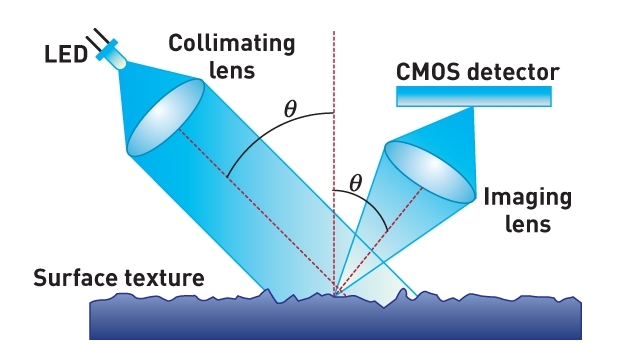 According to Microsoft, "specular optics is high-angle imaging optics that generates an exact replica of the surface instead of blurry, out of focus images, like leading laser mice." The BlueTrack tracking engine of the SideWinder X8 claims some serious bragging rights when it comes to the numbers, being able to process 13,000 images per second and track accurately at a maximum speed of 120in/sec. Microsoft said that all of this data can be passed to the PC via either the proprietary 2.4GHz wireless connection or a USB cable using a 500Hz report rate. 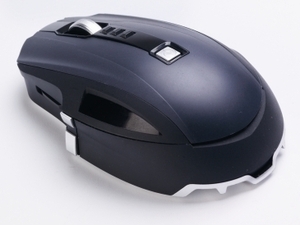 The company also claims that the mouse can tolerate 75g (or 735m/sec2) of acceleration without losing accuracy. That's pretty impressive which ever way you look at it. Microsoft has since clarified that the Sidewinder X8 only operates wirelessly, sending the data from the mouse to the puck, which then talks to the PC via 500Hz USB. Our thanks to azreal on the comments thread for bringing this to our attention. Our recommendation for the best gaming mouse. No it's not a typo: the Razer Mamba is a wireless gaming mouse that costs the best part of £120. Razer claims it has incorporated wireless technology that matches a wired connection for responsiveness, and if that's not enough to whet your appetite, maybe the 5,600dpi count or Rolex-style packaging will be.